Your anniversary is a romantic occasion to be celebrate each year as if it were the first time. A gift for your sweetheart is a must, as a reminder of just how much you both mean to each other. Jewellery for your partner is a precious gift, and over time it serves to commemorate an event as important as this one. Need a suggestion for a romantic anniversary gift? We’ve gathered up a selection of men’s and women’s jewellery that’s perfect for an occasion such as this. Discover all our bracelets, necklaces, rings and earrings dedicated to love and choose anniversary gifts that allow you to express your feelings in a special way. All our jewellery is made from high quality materials such as stainless steel, sterling silver, yellow and rose gold, and brilliant coloured gemstones for a gift that’s 100% Made in Italy. A ring is an important piece of jewellery to give to a woman on a day as special as this: choose one for the love of your life in sterling silver or stainless steel and share this incredibly precious moment! Rings from our collections are always embellished, with details in yellow and rose gold and sparkling gemstones, and should be chosen based on the personal tastes of the woman or girl who they’re intended for! Does she prefer a traditional or more contemporary design? All you’ve got to do is choose between the highly unique stretch ring or a more classic model, decorated with brilliant stars and hearts. For a truly romantic anniversary! The perfect gift idea for her, but also for him, Composable bracelets celebrate love with precious jewellery you can personalise with romantic Links dedicated to your story! Choose among the various pre-made Composable bracelets embellished with Classic or Double Links with romantic inscriptions, brilliant gemstones for her, and stylish symbols for him. 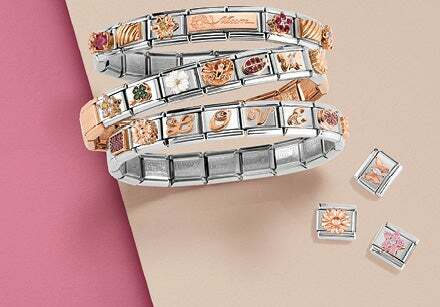 Naturally, each Composable bracelet can be customised just as you like: want to tell your love story with precious jewellery? 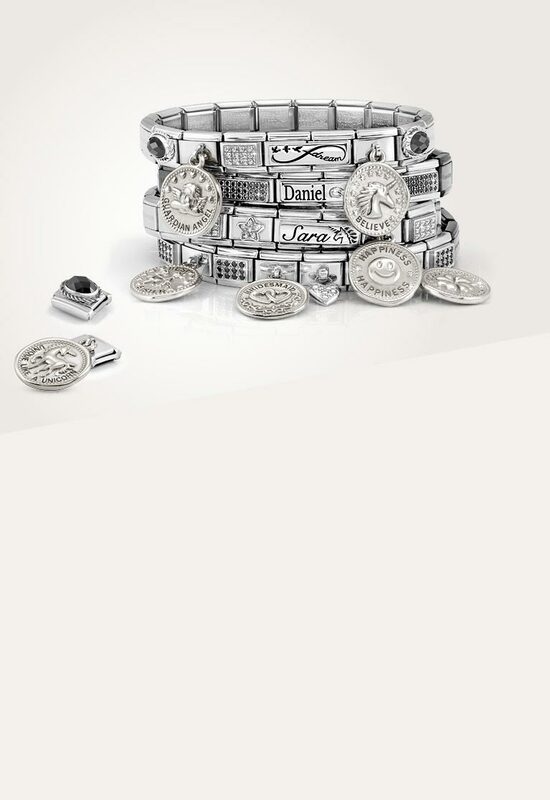 Adorn your bracelet with the Links which best represent you and your relationship. There are gold Links with numbers symbolising the number of years you’ve been together, wedding bands, romantic scenes for couples, hearts and special messages. What could be more romantic than jewellery created exclusively for the love of your life? How about a special message skilfully inscribed in gold or silver to remind your partner just how much they mean to you. Now you’ve just got to choose the base for your personalised inscription: Double or Classic Link? 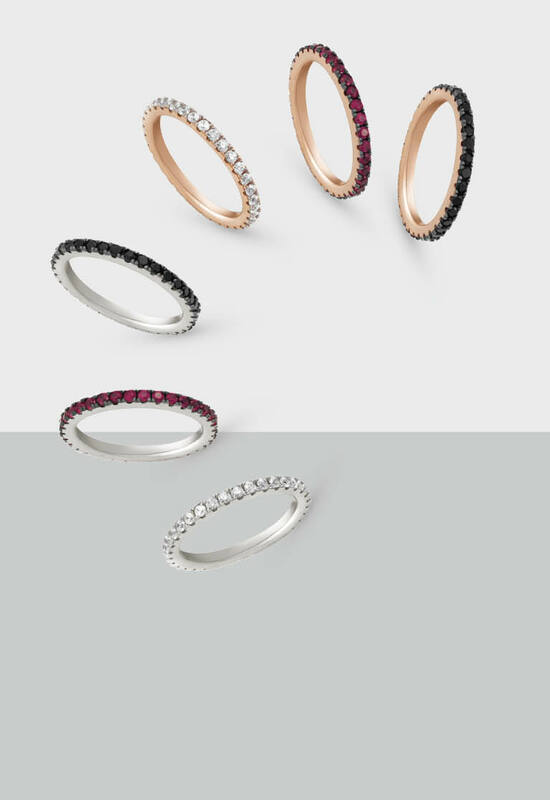 Sterling silver, yellow gold or rose gold? Once you’ve chosen the precious metal, write out the message you want to send to your better half and our expert goldsmiths will handcraft it onto the jewellery dedicated to your sweetheart. This Link will take centre stage when it’s added to their Composable bracelet. 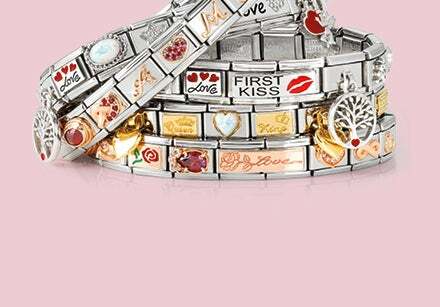 Choose engraved jewellery if this anniversary you want to give your special someone jewellery that’s truly unique!